Although smartphones haven’t exactly replaced desktop computers like experts believed they might a few years ago, there is no doubt about the fact that people now use their phone a lot more frequently than desktops or laptops. From the perspective of a business, this means that unless you are paying attention to the mobile aspect of your online business, you are losing out big time. 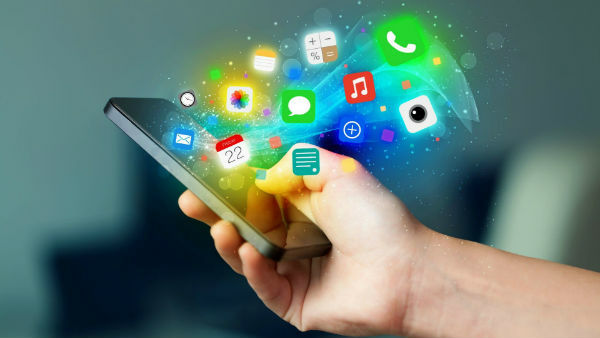 In case anyone needs more reasons than just the ever-increasing popularity of smartphones, here are five other reasons why most businesses need to invest in app development sooner rather than later. The most important long-term factor that every company cares about the most in terms of marketing is the establishment of the brand name, and having a dedicated mobile application is an important part of getting there. Every big name in almost every industry already has an app, so by having one yourself, you automatically take one giant step towards establishing the company name as a reputed brand. If you don’t have a mobile application though, you are running the risk of being seen by potential clients and customers as outdated and uninformed. Even if you think that you are too small to need a dedicated mobile app, you are probably wrong because business is just as much about appearances and foresight as it is about immediate practicality. For example, if a client asks you why the company doesn’t have a mobile app and you tell them that the company is currently too small to invest in app development, you have just branded your business as small-time and your own perceptions regarding its future as unambitious. Every one of your employees already has a smartphone and it’s so much easier, faster, and more convenient to communicate and update in real time via a dedicated company app that doesn’t require opening the computer. What this does is allow for faster communication because everyone has easy access to a smartphone most of the time; something that cannot be said about even the smallest of laptops. When your workers and managers don’t have the locational freedom of a cloud-synced app to work with, every little delay in communication can add up to significant losses. The average Australian spends multiple hours every day with a smartphone, so it should be obvious that there is no better platform than iOS and Android to engage the attention of your customers. However, if you ever visit the mobile version of Amazon.com from your smartphone, you will notice that it’s not nearly as fluid as the dedicated Amazon application which you downloaded from the App Store or the Google Play Store. If Amazon can’t get the site’s mobile version on a browser to work as well as its application, rest assured that no one else has the technology to do any better either. To make your website mobile-friendly is a good first step towards embracing the importance of smartphones in business, but it isn’t enough anymore because apps provide a much better experience by default. People always come back to places that deliver the best experience and, therefore, in order to engage the attention of your customers, you need a mobile application that can do exactly that. To deliver the experience your customers need to stay interested in your app, look for a mobile app developer like Appetiser to develop it for you. Appetiser has a history of business app development for multinational corporations such as Lego, Cadbury, and even Samsung, so they are more than qualified to listen, suggest, and deliver exactly what is required. Staying Close to the Customer. Every time your application is downloaded, you are gaining ground with customers, even if they don’t use it too often. The very fact that you are on their phones mean that people are already aware of you. Thanks to push notifications, the app can always keep reminding them of the latest developments, offers, and such to make sure that they remain in the loop. When a business depends solely on their mobile website to do the same, they will lose ground to a dedicated app and are much more likely to be forgotten. A modern mobile app is a one-stop solution for customers and most of them are so used to the ease of finding everything directly from one place that when they do not find the same convenience elsewhere, the business is both consciously and subconsciously branded as sub-par or harder to deal with. If you don’t have a mobile app, then that’s very bad news for your business prospects, irrespective of how good the company might be in practice. App development isn’t anything that can be considered too complicated, not from where we stand today at least. However, it is an entirely different thing to have an app that works flawlessly to represent your business in the exact way that you want it to be represented. Therefore, you will need a good mobile app developer to work with, and probably a few updates after launch, before the software is able to function as expected.